Can Sherrod Sue Over Edited NAACP Tape? 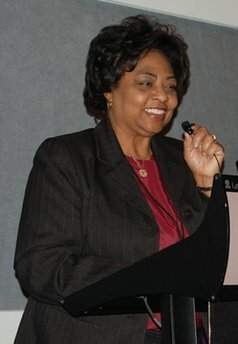 The controversy continues over a video of Georgia director of Rural Development Shirley Sherrod at the NAACP. Sherrod, and many supporters, have objected that the tape from the NAACP event was clearly edited to cut off her comments to mislead the viewers. 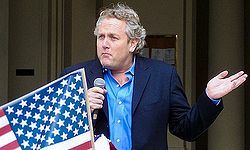 Andrew Breitbart released the video but insists that he did not edit it. The question is whether Sherrod can sue over the video. Most criticism is focusing on Andrew Breitbart who released the video on his media sites. Raw Story released the full video without the editing. In response, Breitbart told Fox News “this is not about Shirley and Andrew.” He appears half right given the growing condemnations directed at him. The video itself is certainly misleading as edited. Sherrod immediately objected that the remarks were “misconstrued.” Nevertheless, she resigned after the video was made public and was denounced by both the NAACP and Secretary of Agriculture Tom Vilsack. She claims that she was forced to resign by the White House. The White House later issued an apology to Sherrod. The NAACP has now retracted the original statement below. This video shows Sherrod recounted “the first time I was faced with having to help a white farmer save his farm” and how she viewed the farmer as trying to be “superior” to her while she controlled the money for such farmers. This account is supported by the farmer’s wife who credited Sherrod with saving their land. For the video interview, click here. There is no question that the edited material left a false impression as to the point of the speech. Before getting to the possible legal consequences of such editing, it is important to note that the added material is redeeming but still leaves some disturbing racial elements in the speech. First, the video appears to show a few members of the audience responding positively to the racially-loaded portions of the speech, though that is subject to interpretation. Moreover, these audience comments are not made by Sherrod. However, it is disturbing to hear positive reactions to that portion of the speech. One possible interpretation is that the audience understood where she was going with the speech or was simply encouraging her in a build up to the crescendo of the speech. Second, Sherrod clearly states that roughly 20-25 years ago, she was viewing individuals in strikingly racial terms. That would put this story around the late 1980s and 1990s. It is pretty shocking to hear that Sherrod was still thinking of that white should work with their “own kind” and viewed the case in largely racial terms. The ultimate result of Sherrod overcoming race is commendable, but I have to say that I do not agree that it fully answers the concerns about this story. I would be very disturbed to hear that a white politician was in 1986 uncomfortable with fully assisting black people and actively sought to have “one of their kind” help them. It may be a sign of my age, but 1986 doesn’t feel that long ago and I would have been appalled to hear such views at that time. Moreover, the racial elements of the speech seemed to in part explain the earlier view in light of how black farmers were being treated. In defense of Sherrod, it has been noted that she was working for the Federation of Southern Cooperative/Land Assistance Fund, which specifically aids black farmers. Putting aside this issue, the editing was clearly intended to make the story worse than it was. She uses the racially loaded story to explain that “That’s when it was revealed to me that it’s about poor versus those who have.” That is a very different story where she was trying to explain how she learned to overcome racial sentiments. Other leaders like the late Henry Byrd Jr., made similar redemptive speeches. While I am still bothered by the fact that this was a revelation in the 1980s or 1990s (as opposed to the 1950s or 1960s), it is still a very different story than shown on the video released by Breitbart. The question is whether there is legal recourse for such editing. There is but it is not easy. An employment action based on being pressured to resign is doubtful. Company and government lawyers often prefer employees to resign because it effectively waives a host of statutory and common law protections. Sherrod herself has stated that she is not sure she even wants her job back. It would have been a far stronger case if she had forced termination proceedings. However, at least one expert thinks she might have a case under employment law. John Dean wrote a terrific piece on this issue. The most obvious claims would be false light and defamation. (b) the actor had knowledge of or acted in reckless disregard as to the falsity of the publicized matter and the false light in which the other would be placed. This would certainly seem to be a case of intentional or reckless act. It could also be claimed to be highly offensive to a reasonable person. However, the editor can claim that the tape was meant to show not just the racially loaded comments of a speaker but the reaction of the audience to that portion of the speech. Moreover, Sherrod is still admitting to pretty disturbing racial views in her earlier view of white farmers from the 1980s or 1990s. That is not an entirely complete defense, however, because it still does not explain why the editor would cut out the point of the story. False light cases have resulted in high damages against news organizations as in this case. However, this verdict was later overturned, which rejected the very use of false light as a tort action. Of course, if Sherrod were to sue, she would likely make it past initial motions to dismiss and could secure embarrassing discovery in the case, including possible internal emails and communications on the purpose of the editing and release of the video. Well worded. Thank a lot for posting this. I will check to your site to read more and inform my friends about this website.